In an unlikely move Google released something that is totally useless but at the same time hip. Today they released an android app called Androidify that allows you to create android avatars for you and your contacts. 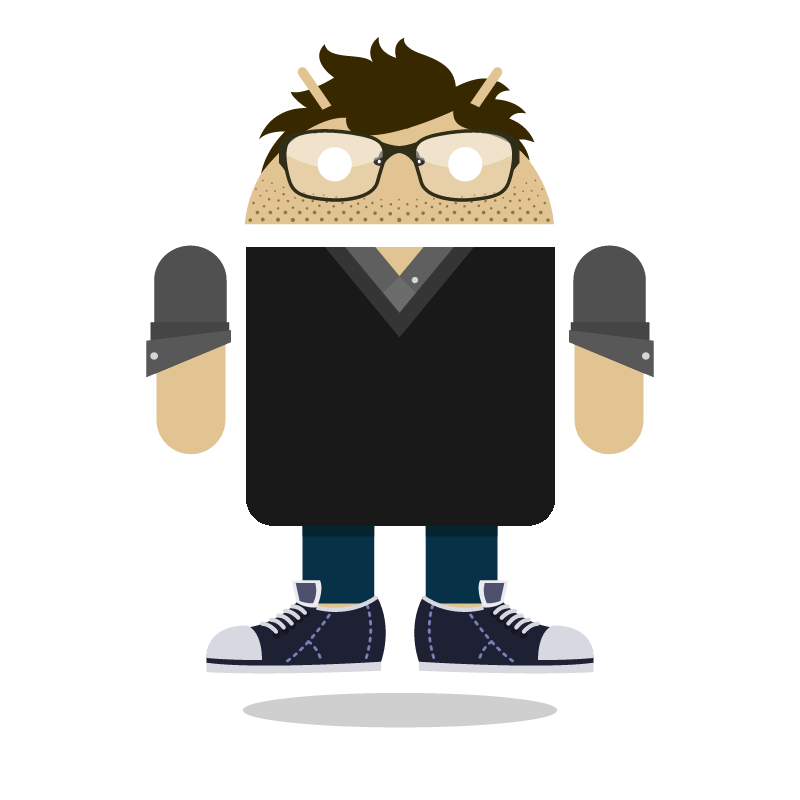 With its intuitive, easy to use interface you can customize your droids with clothes, hair, glasses, accessories to produce cool/cute droids. It sounds extremely cheesy and it is. I think someone whispered them that they should be more hip in order to get younger audiences and women just like Apple has done with iPhone. It's not a bad move I like free software! For all of you who are wondering, yes, this is me on the left. I think I 'll use this as my general avatar as well. i am in the step where instalation takes place but it stops saying error reading file. You can try downloading it directly from android market from your phone instead of the website.